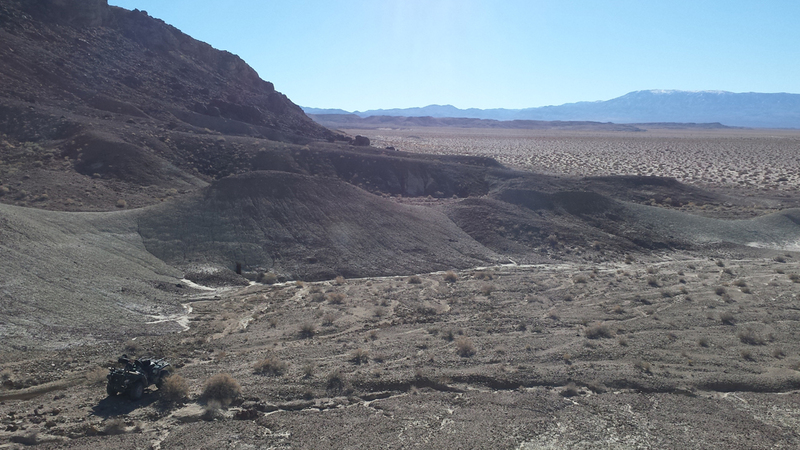 Cypress Update on Clayton Valley Lithium Project, Nevada | Cypress Development Corp.
Cypress Development Corp. (TSX-V: CYP) (OTCBB: CYDVF) (Frankfurt: C1Z1) would like to bring your attention to the Company's latest lithium property acquisition as dated (see News Release 02/03/2016). Cypress is acquiring a 100% interest in the 1280 acres project located on the south flank of "Angel Island" and immediately southeast of the Albemarle Silver Peak lithium mine. These highly prospective claims share their western boundary with claims that make up Pure Energy's northern resource area as reported in Pure Energy's technical report titled "Inferred Resource Estimate for Lithium" dated July 17, 2015. They are also located only 0.5 miles south of current and past producing lithium brine wells belonging to Albemarle. Given Cypress's favourable location and proximity to recent and historic drill holes (approx. 300 meters) the Company believes the data indicates the potential for favorable lithium brine exploration targets on the property. There is additional exploration potential on Cypress' Clayton Valley property that includes extensive outcropping of altered green claystones and the presence of stockwork veining localized at paleo hot spring vents. The Company believes that additional lithium brines could be localized at the water table below the outcropping claystones and potentially also localized along structures cutting these units. Lithium brines have been extracted from shallow levels within the north end of the Clayton Valley Basin for almost 50 years. The majority of these brines have been pumped from subsurface aquifers on the flanks of Angel Island. Angel Island is one of several isolated exposures of highly deformed and metamorphosed rocks of Cambrian age that are surrounded by younger basin fill evaporate rocks referred to as the "claystones". Exposures like this could represent uplifted portions of the stratigraphy within which the lithium brines of the basin are produced. With this in mind, Cypress chose to initiate a systematic sampling program from surface claystone along the contact of the Cambrian rocks of Angel Island. SEE NEWS RELEASE BELOW. The sample results obtained from this program are particularly encouraging not only by their grade but also their continuity over 300 meters. The Company suggests larger-scale exposure of clean rock faces along the sample traverse will be required to help determine whether the samples are localized within discrete beds or are in fact of a robust, massive nature. Cypress is currently planning follow-up work at its Clayton Valley Project to better define this near surface lithium mineralization identified by the recent sampling program. The Company has also announced a non-brokered private placement financing of up to 5,000,000 units at a price of CDN$0.05 per unit (Unit) to raise gross proceeds of up to CDN$250,000. Each Unit will consist of one common share and one non-transferable share purchase warrant (Warrant), with each Warrant entitling the holder to purchase an additional common share for a period of five years at a price of CDN$0.055 per share from the closing date of the private placement (please contact us if you would like to participate in this private placement). February 22, 2016, Vancouver, BC - Cypress Development Corp. (TSX-V: CYP) (OTCBB: CYDVF) (Frankfurt: C1Z1) ("Cypress" or the "Company") is pleased to report recent surface sampling results from the Company's 1280 acre Clayton Valley Lithium Brine Project located in Esmeralda County, in the state of Nevada, USA. Cypress' Clayton Valley Project is located on the south flank of "Angel Island" and immediately southeast of the Albemarle Silver Peak lithium brine mine. The acquired claims share their western boundary with placer claims controlled by Pure Energy Minerals. Pure Energy has identified a lithium resource at its northern resource area (see Pure Energy's news release July 28, 2015), that is located to the immediate west of Cypress' established boundary. Cypress' highly prospective "Glory" and "Angel" claims are located within 0.5 miles (<1000m) south of current and past producing lithium brine wells belonging to the Albemarle Silver Peak mine. Cypress' Clayton Valley claims are located in an active area of surface hectorite clay lithium mining and lithium exploration. Highways and electric power are in place and exploration resources needed are readily accessible. The Albemarle Silver Peak mine is the only operating brine based lithium mine in North America. The Silver Peak area is one of the oldest mining areas in Nevada having produced substantial amounts of silver, gold and other minerals. The Silver Peak mine began operations in 1967 to mine lithium by low cost evaporation ponds and has produced lithium since then. The lithium concentration in the production brines were reported in 2001 to average 160 ppm (160 mg/litre) (Garrett Report, 2004). Lithium concentrations in the brines in Clayton Valley have been relatively consistent in the 150 -200 ppm (mg/litre) in recent history. In general, the brines from the north part of the Clayton Valley are Sodium/Chloride (Na/Cl) in composition and have lithium concentrations in the range of 60 -- 400 ppm (mg/litre) Li. Lithium brines have been extracted from shallow levels within the basin for almost 50 years. 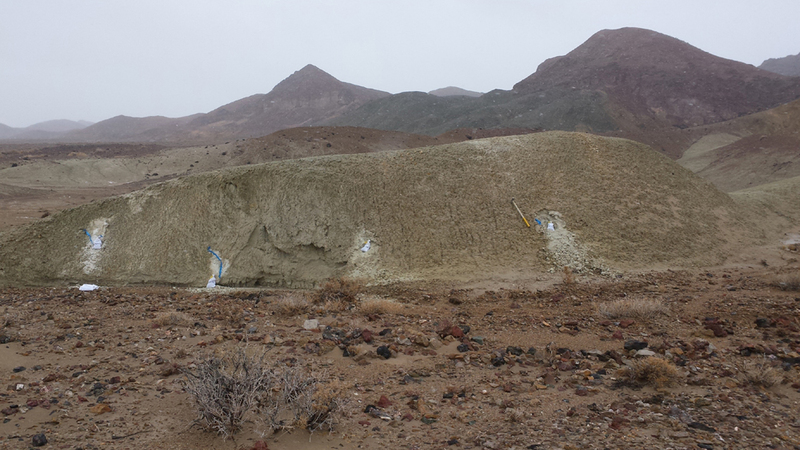 The majority of these brines have been pumped from subsurface aquifers on the flanks of Angel and Goat Islands. This spatial association of brine production from the flanks of the Cambrian age bedrock blocks is highly encouraging for the potential of the Cypress land position. Surface sampling of green to bone white claystones was completed at Cypress' Clayton Valley Project at the end of January in an area within the northwest portion of the property on the west flank of Angel Island. Angel Island is one of several isolated exposures of highly deformed and metamorphosed rocks of Cambrian age that are surrounded by basin fill evaporite rocks herein referred to as the "claystones". These claystones are not well understood in terms of age but are definitely part of the recent basin fill evaporite rocks of the Clayton Valley and are thought to be less than two million years old based on work completed by the USGS and other research geologists. These exposures likely represent uplifted portions of the stratigraphy within which the lithium brines of the basin are produced. The results of recent, systematic sampling of surface claystones reported here confirms the target model being used by Cypress. The results are displayed in Tables 1 and 2 below. Table 1 samples were randomly collected along the contact of the Cambrian age rocks and the basin fill claystone evaporite rocks. Table 2 lithium (Li) numbers are from samples of the Cambrian rocks above a complex contact with the topographically lower claystones. A second series of samples were systematically collected from an approximate 300 foot wide traverse through the claystones starting at first exposure on the basin side gravel-claystone contact (west) and ending at a brecciated vertical fault contact of the claystones with the Cambrian rocks of Angel Island (east). The samples were collected at an approximate spacing of 25 feet. The results of these samples are displayed in table 2. The assays from the systematic traverse samples average >1500 ppm Li and are accompanied by a typical suite of other evoporite rock mineralization, including one sample with >1% strontium. The results suggest a strong possibility of an essentially continuously mineralized volume of claystone at surface on the Cypress property in a position immediately east of both brine production wells at Albemarle Silver Peak mine and the north resource area of Pure Energy Minerals project. It is important to note that the geometry of the claystone bedding is not readily apparent at the sample sites due the presence of a ten to twenty cm thick weather crust which completely masks the bedding of the claystones. Traverses completed in other areas of the property and along the flanks of Angel Island have shown that the claystones are locally highly deformed. Larger-scale exposure of clean rock faces along the traverse will be required to help determine whether the samples are localized within discrete beds or are in fact of a robust, massive nature. Don Huston, President of Cypress stated: "We are pleased with the results of our initial surface work on the Glory claims of our Clayton Valley project when compared to nearby brine production grades. We are at an early stage with this project and much work remains to be done to investigate the subsurface where we expect to find ground water aquifers within deeper portions of the same mineralized claystone evaporate sequence that is currently being explored at surface. We are confident that the position of our property adjacent to production wells and defined resources combined with current surface assay results indicates that Cypress is well situated to create value for our shareholders as we advance the exploration of our claims." Cypress is currently planning follow-up work at its Clayton Valley Project to better define this near surface lithium mineralization identified by the recent sampling program. The Company is planning a sub-surface exploration program including seismic data acquisition and we look forward to the identification of high quality drill targets for lithium brines within 2016. All samples were assayed by ALS Chemex using a four acid digestion / ICP-Mass Spec method. Note that no effort was made to select the material for the samples. All samples were collected by digging through a powdery crust followed by collection of well indurated claystone material below the crust. In other news, Cypress announced on January 25th a non-brokered private placement of up to 5,000,000 units at a price of $0.05 per unit ("Unit") to raise gross proceeds of up to $250,000. Each Unit will consists of one common share and one non-transferable share purchase warrant ("Warrant"), with each Warrant entitling the holder to purchase an additional common share for a period of five years at a price of $0.055 per share from the closing date of the private placement. A finder's fee of 7% in cash and 7% in non-transferable warrants ("Finder's Warrant") may be paid in connection with part of this private placement. Each Finder's Warrant will entitle the finder to purchase a common share of Cypress at a price of $0.055 per share for a period of five years from the closing date of the private placement. The Company intends to utilize the proceeds of this private placement for exploration on its mineral properties and for general working capital purposes. Cypress Development Corp. is a publicly traded lithium and zinc-silver exploration company developing projects in Nevada, U.S.A.
Cypress Development Corp. has approx. 17.8 million shares issued and outstanding.